Sunday Post publishes on a Saturday for the first time in nearly 100 years - D.C. Thomson & Co. Ltd. The Sunday Post published for the first time on a Saturday since 1917 when it launched a Christmas Special that went on sale on December 24th. 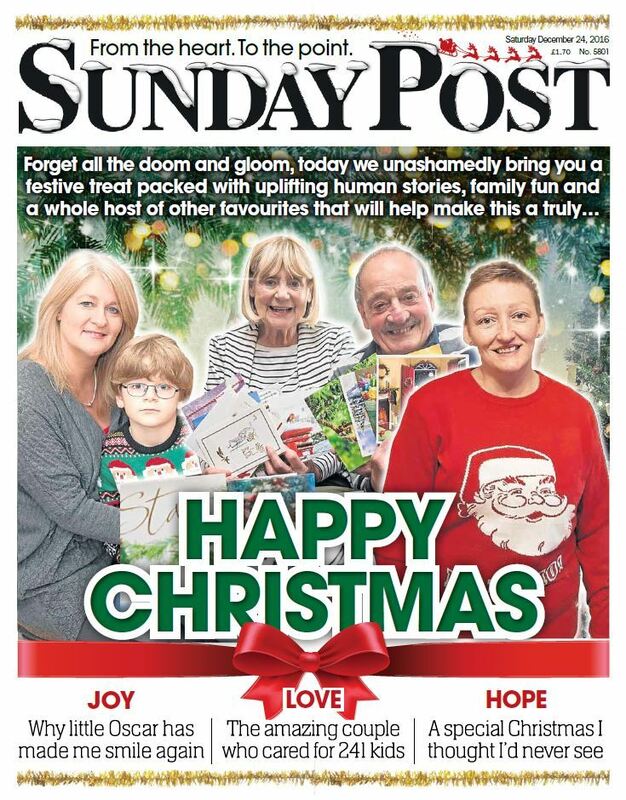 The 2016 Christmas Special was packed with uplifting festive stories, quizzes, a short story, a free Oor Wullie and The Broons keepsake, and a free in10 magazine as well as the title’s usual columnists including Kenny Dalglish, Lorraine Kelly and Alan Brazil. The paper went on sale in Scotland and the north of England for its usual cover price of £1.70, and sales significantly exceeded expectations. Editor Richard Prest said: “Traditionally when Christmas has fallen on a Sunday we haven’t published, but earlier this year we thought why not? Our readers love the paper so we decided they shouldn’t miss out on their favourite read this Christmas. From there the team set about creating an edition that tried to capture the spirit of Christmas. We made a conscious decision that it should only contain uplifting, inspirational and fun stories given the time of year. So that’s what we did and we were delighted by the response from the public who bought it in huge numbers, way beyond what was initially expected.